At the Tool Shed, the sexiest men in town take off their clothes for an audience. Lust may reign supreme on the stripper poles, but off-stage and off-duty, these red-blooded stallions are also falling in love. New employee Gabriel learns the ropes while falling for his experienced coworker. Can they overcome the obstacles – both professional and personal? Owen, the only “straight” dancer at the Tool Shed, experiments with a coworker and discovers he’s been fooling himself. While Lucas and Elijah are both strippers, one is a wallflower and one’s a bad boy. No one wants to see them together… except they can’t stand to be apart. When mysterious Shade starts working at the Tool Shed, his fellow dancer Jesse investigates his shadowy past – and gets more than he bargained for. The Tool Shed’s bartender gets closer to the club’s “straight” DJ – but what will happen when the painful secrets both men are keeping are exposed? Bratty stripper Lev gets put in his place by the club’s stern bouncer. Will he clean up his act, or come back for more? This box set contains all six novels in the Tool Shed series. Packed full of steamy romance, drama, and intrigue, each of the interlinked books stands alone with a unique couple and HEA. Royce Thompson has been working his whole life toward his goal of making a difference in the world. Now, the only thing standing in the way of his research and earning his doctorate degree is money. When the university partners with Serrano Investments to fund Royce’s research, Royce finds himself looking into a very familiar pair of dark eyes, eyes that have been haunting his dreams for the past two years. Not that he has told anybody, especially his best friend, Landon. As far as Royce is concerned, he’s straight. Very straight. Isn’t he? Isaac Serrano remembers feeling drawn to Royce the second he saw him almost two years ago. But he also knew he could never allow it to grow into anything more. He has his own responsibilities to consider, both to his career and his family. If he had his way, he would never see Royce again. But when a coworker and friend begs Isaac to take his place at an upcoming meeting for a new investment opportunity, Isaac finds himself rushing into a conference room occupied by none other than Royce Thompson. As their business relationship develops, Royce struggles with his new desires directed toward Isaac. 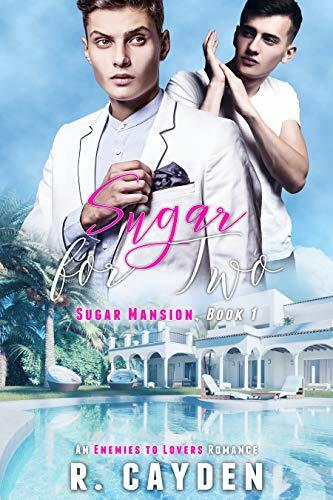 Isaac tries to keep his distance, as they both know their affair would not only put Isaac’s career at risk, but would halt any funding for Royce’s research. Helpless against their growing desire for one another, will they lose everything? Growing Desires is a gay romance novel of approximately 60,000 words full of stubborn, smart protagonists, a meddling professor, Landon and Derek’s wedding, a farm in the middle of nowhere, and two men who want to be together but don’t know if they can. It does have a Happily Ever After (complete with epilogue), no cliffhangers, and can be read as a standalone (though a few minor things will make more sense if you’ve read Making Music first).